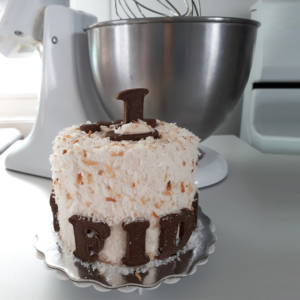 A Pupcake Pawty is the pawfect way to celebrate your pup's special day without ruining their diet or their dinner. Each pawty pack comes with one personalized pupcake and your choice of mini or regular sized pupcake favours. Share them with your furends or freeze them for a rainy day. The base of your pupcake will be made with organic chickpea flour and organic coconut oil, with the flavour of your dog's choice. To use it in its pure form, avoiding processed sugar and salt, we ground up our own organic peanuts and add only enough to your pupcake to create the flavour. Carob is less bitter than chocolate and has a roasted, naturally sweet flavour. It also happens to be caffeine-free and high in fibre. Now your dog can have a "chocolate" pupcake... and eat it too! Making this carrot pupcake the safest for your pup. and/or starches like corn or tapioca. we had to find our own unique alternative. and when we did the research, we found out that they can! organic raw honey, and organic gelatin! *What size pawty are you having? Choose the package that fits your pawty. You can add single pupcakes to your order after! 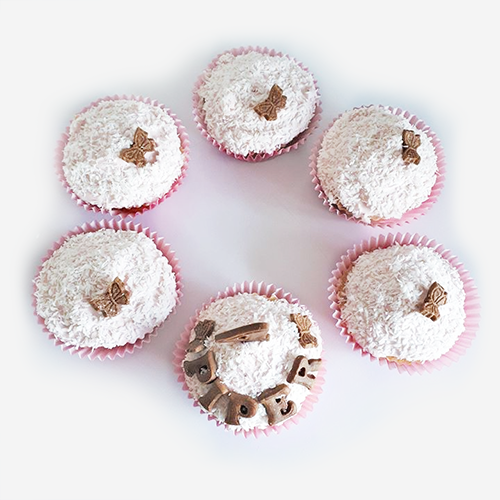 Add more pupcake favours to your pawty! 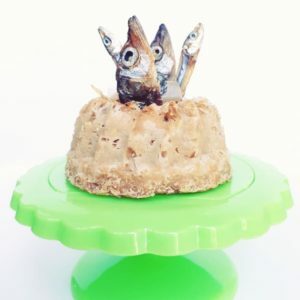 Share with family and furends or freeze them to keep the pawty going all year! Need us to cater your daycare pawty? Contact us for a quote! *What density would you like your pupcakes? *What day would you like to pick up your pupcakes?